​Enter to win a set of 3 books from The 5 Love Languages® to celebrate the launch! FILL OUT THE FORM BELOW TO ENTER TO WIN A SET OF 3 BOOKS FROM The FIVE LOVE LANGUAGES. ​​​By subscribing, you agree that you want to enter to win a set of 3 books from The 5 Love Languages® ​Dr. 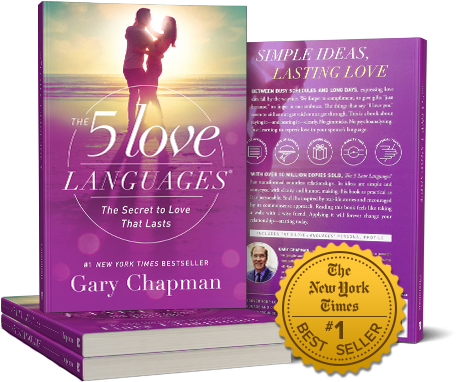 Gary Chapman’s #1 New York Times bestseller The 5 Love Languages®, The 5 Love Languages® for Men, AND The Love Languages Devotional Bible (hardback)! ​​ and agree to receive occasional emails from LoveNudge.app, The 5 Love Languages, and FrontGate Media. You may unsubscribe from these email communications at any time. Winner will be selected Feb 20, 2019. This page is designed by FrontGate Media.